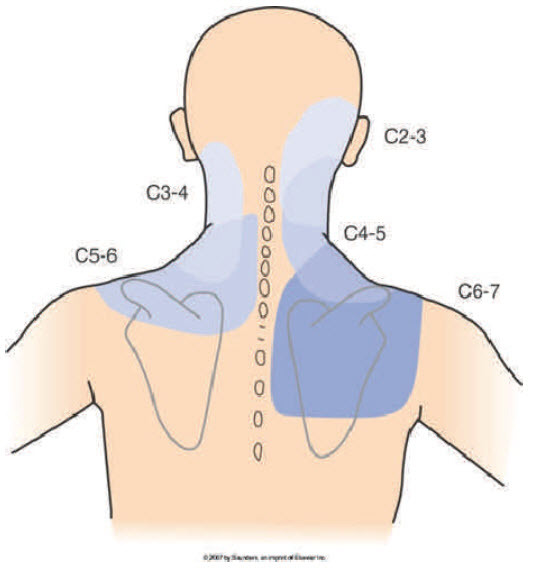 Pain from the cervical facet joints accounts for 40-60% of neck pain. Pain from these joints commonly radiates to the neck and shoulder areas. Headache can also occur from involvement of the joints in the upper cervical spine. Pain is usually in the back of the head ortemples in such cases. Arthritis can arise as a normal part of aging or trauma including whiplash type injuries. Diagnosis and treatment for this neck pain can be accomplished by injecting the specific joint or blocking the nerve that supplies the joint with numbing medicine. 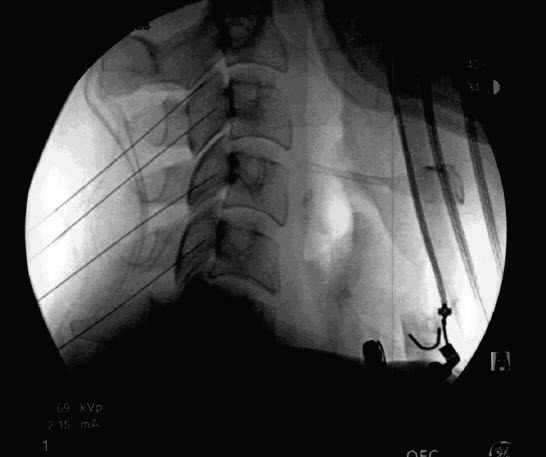 This is conducted under an x-ray machine with a very small needle. Temporary neck pain relief confirms the diagnosis. Usually substantial pain relief can be obtained from injection therapy. However, if sustained relief is not possible, longer relief can often be obtained with radiofrequency of the nerves that transmit pain to the the joints. 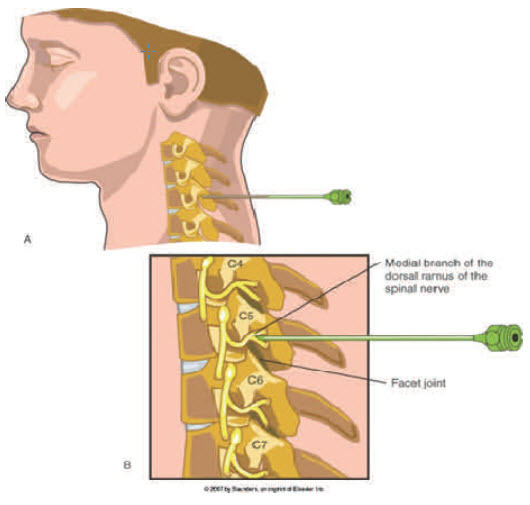 This involves placement of a special needle with a tip that heats up enough to disable the nerve from carrying pain signals. Usually a range of 6-18 months of benefit can be obtained. Please contact our office if your blood thinner is not listed.